Google has acquired Zync, a start-up focused on special effects and design. The acquisition provides Google with a tool that allows movie studios, designers and producers to store and share large-format rendered files within traditional band-widths. Until now, Zync has operated on Amazon's EC2 cloud, but Google will move Zync to its own Cloud Platform, the company said. The Wall Street Journal says it believes the move will force Zync's clients to switch from Amazon to Google's Cloud Platform. Zync has fewer than 10 employees, according to its LinkedIn profile. Google sees the acquisition as an opportunity to provide Hollywood studios that don't have the resources to build their own render farms with a service that offers cloud-based rendering and capacity at cost. 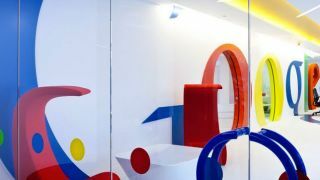 Google will offer its clients per-minute billing in order to relieve clients of having to pay for unused capacity that would exist under traditional hourly agreements. Zync has been used on hundreds of commercials and more than twenty movies, including American Hustle and Transformers. The Boston-based company was founded in 2011 after having been part of visual effects company Zero VFX.